An examination of 28 attacks, which claimed nearly 150 lives and wounded hundreds of others — from Orlando to Las Vegas — also found that more than three-quarters of the assailants engaged in suspicious communications or conduct that raised concerns from others in advance of the assaults, according to the report due for release Thursday. 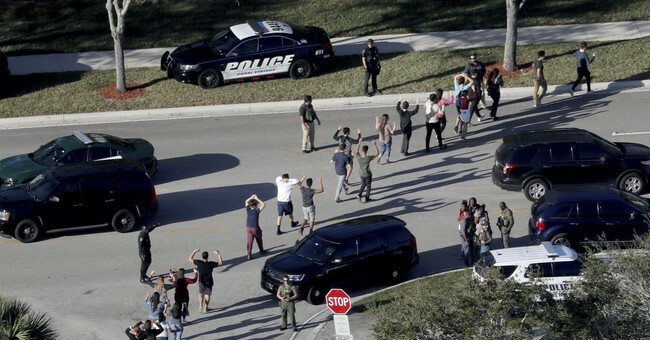 The analysis, prepared by the Secret Service's National Threat Assessment Center, had been underway months before the Feb. 14 massacre at a Parkland, Fla., high school, but its findings are likely to further fuel concerns about the untreated mentally ill and their access to high-powered firearms. In the Parkland case, which has reinvigorated a national debate on gun safety, social workers, mental health counselors, school administrators and law enforcement were all warned about Nikolas Cruz's deteriorating mental state and risk of violence before he allegedly launched the attack that left 17 dead. The new Secret Service review builds on a lengthy, prior examination issued by the agency in 2015, which found that more than half of suspects involved in 43 attacks targeting government facilities or federal officials between 2001 and 2013 suffered symptoms of mental illness, including paranoia, delusions and suicidal thoughts. In the new report, authorities found that 64% of suspects suffered from symptoms of mental illness. And in 25% of the cases, attackers had been "hospitalized or prescribed psychiatric medications" prior to the assaults. Well, first, we’re talking about mass shooters, right USA Today? The three main attacks you cite in this piece are Orlando, Parkland, Sutherland Springs, and the assassination attempt on House Majority Whip Steve Scalise (R-LA). Anyway, it just shows that mental illness should be part of the discussion, not repealing the Second Amendment, as we’ve seen in the wake of the horrific at Marjory Stoneman Douglas High School in Parkland, Florida. Those afflicted with certain mental issues, like paranoid schizophrenia, shouldn’t be near firearms. The reporting of such illness should be improved—both the pro-Constitution and gun grabber camps can agree on this. Also, it seems pretty clear that blaming men and toxic masculinity isn’t the real reason why these attacks happen. Of course, you already knew that, but let’s not forget that some on the Left think this total garbage theory is the actual reason. So, perhaps more mental health screenings and documentation is in order. Hey, even left wing Mother Jones suggested that after Sandy Hook.